Jackson Mystique Women's Figure Skates. 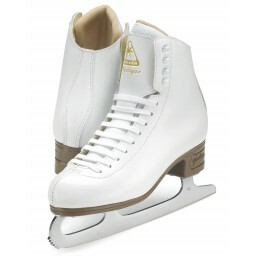 This skate is flexible enough for a beginner skater, but supportive enough to advance through more advanced beginner skating skills. A premium beginner figure skate. Обычная цена: 7 967,46 руб. Special Price 6 789,45 руб. Jackson Multi-purpose chrome steel iron with screws to the heel.